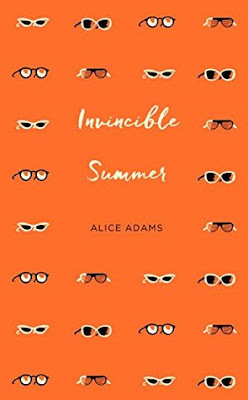 Invisible Summer is Alice Adams debut novel but you wouldn't know it. Spanning some twenty years, Invincible Summer opens in the summer of 1995 with four friends; Eva, Benedict, Sylvie, and Lucien lying on a hillside overlooking Bristol City Centre. This novel is a little slow to start with, but that's fine, because we get to know each character in turn. Ambitious Eva who is more than a little in love with Lucien who barely notices her. Wealthy and sensitive Benedict who is head over heels for Eva who is too busy lusting after Lucien to notice. Sylvia an aspiring artist who never seems to get the recognition that she truly deserves. And Lucien, Sylvia's brother, a lovable rogue who seems content with living the student life for ever. But as brilliant as life may seem whilst your in the midst of youth attending University, we all know that it changes, sometimes unrecognizably so once you have left and ventured out into the real world. Invincible Summer details how our friendships and lifes change in those tentative years post university and beyond. 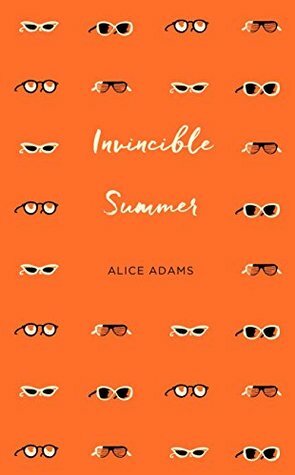 Invincible Summer is a beautifully written debut novel and is sure to be a summer hit. Invincible Summer is available now via Amazon online and all good book shops. Thank You to Francesca Main at Picador who sent me an advanced copy of this novel in exchange for an honest review.